Beautiful custom made wood white kitchen, combined with a perfect dark stain island to give a perfect balance. 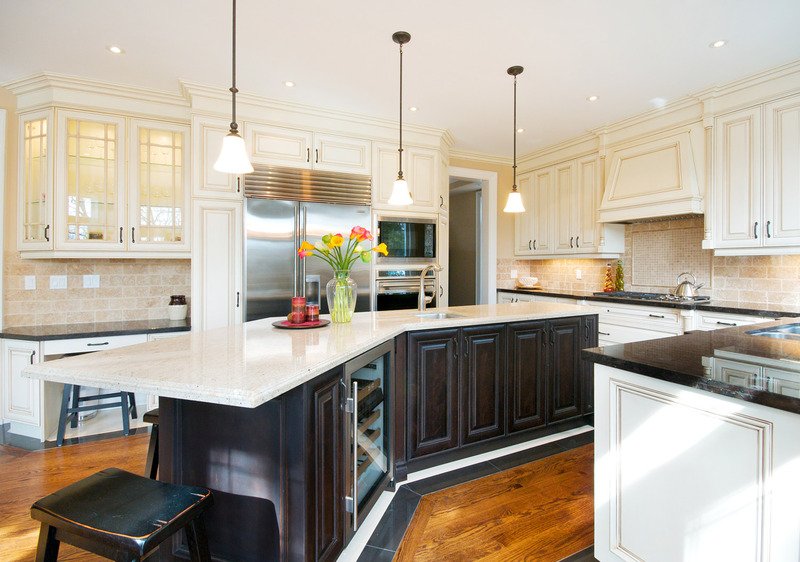 This kitchen has a custom canopy decorated with corbels, double spice pull outs, dark stain glazed doors beside the canopy and an integrated kitchen desk which matches with the island and ceiling beams colour. 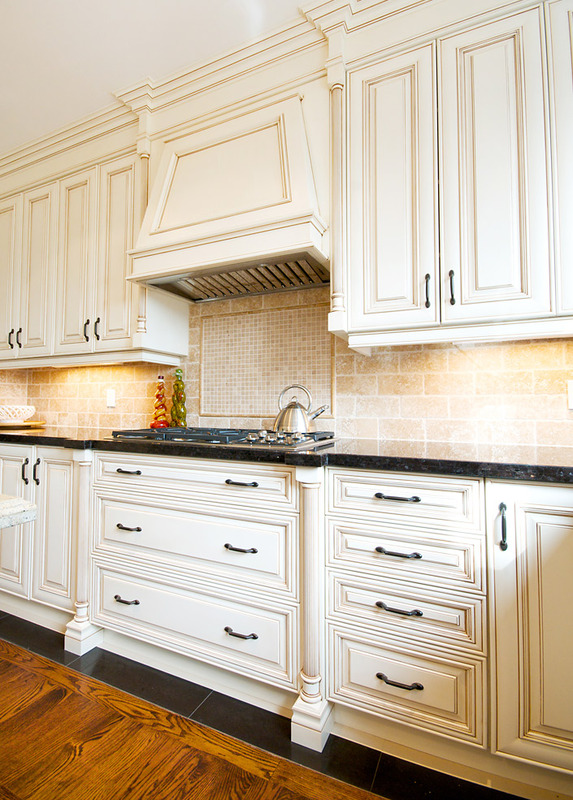 Flexwood Fine Cabinetry has been providing the GTA and surrounding area with quality custom cabinetry for over 20 years. Established in 1990 we take great pride in all our projects. 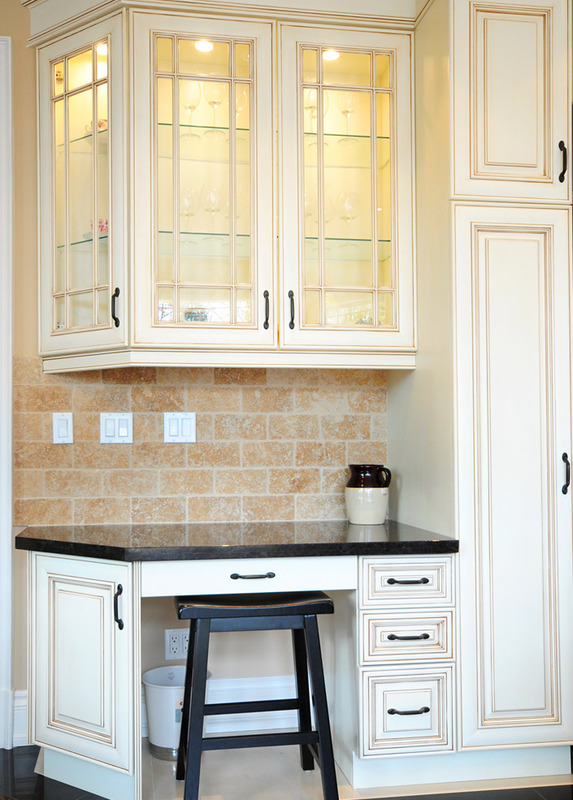 We specialize in all types of Custom Cabinetry. Starting from the Kitchen & Bathroom cabinetry, to custom Fireplace Mantles & Entertainment Built-ins, as well as custom Bars and even Walk-in Closet Solutions. Every project is completely customizable from the cabinet interior to its external materials and finishes. We have in-house designers to help bring your project into reality. We also take pride in building spec kitchens in accordance with design drawings. 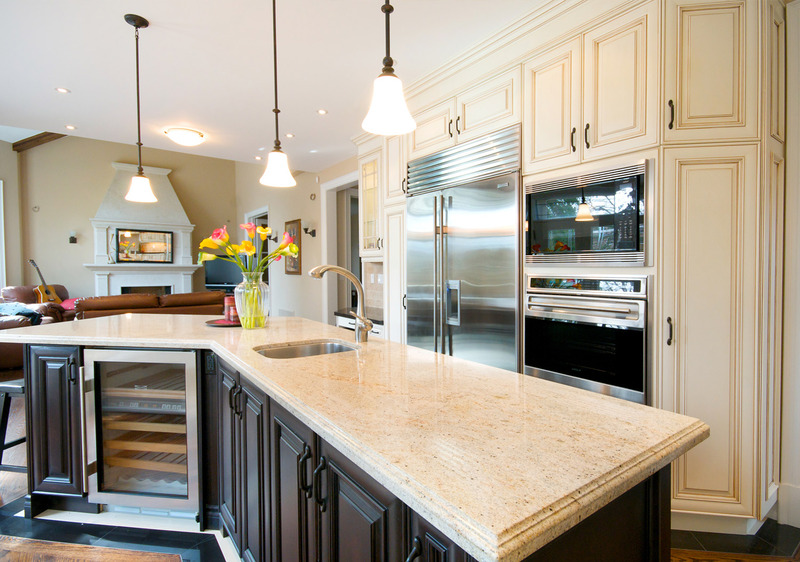 If you are a Home Owner looking at building your dream kitchen or an Architect, Custom Builder or Designer looking for someone to execute your projects please give us a call or send us an email.